Dr. Victor Fries a.k.a Mr. Freeze is a fictional Character, a supervillain who appears in comic books published by DC Comics. He frequently serves as a sympathetic enemy of Batman. Created by David Wood and Sheldon Moldoff, he first appeared in Batman #121 (February 1959). 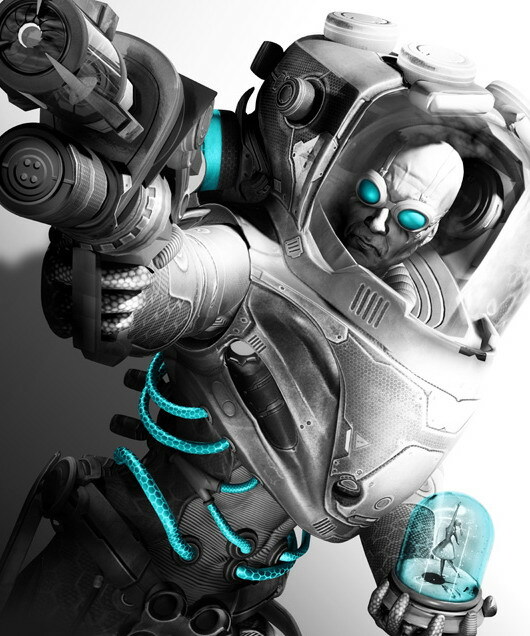 Freeze is a scientist who must wear a cryogenic suit in order to survive, and bases his crimes around a "cold" or "ice" theme, complete with a "freeze gun" that freezes its targets solid. In the most common variation of his origin story, he is a former cryogenics expert who suffered an industrial accident while attempting to cure his terminally ill wife, Nora. More about Mr. Freeze (DC Comics) Character Review - keep on reading !! In the original Batman television series, Mr. Freeze was played in various episodes by George Sanders, Otto Preminger and Eli Wallach. He was voiced in Batman: The Animated Series by Michael Ansara, and by Clancy Brown in The Batman. In the 1997 film Batman & Robin, he was portrayed by Arnold Schwarzenegger. IGN's list of the Top 100 Comic Book Villains of All Time List ranked Mr. Freeze as #67. From the time of his first appearance in 1958 onward, Mr. Freeze was portrayed as one of many "joke" villains (see also Killer Moth) cast as stock enemies of Batman. Originally called Mr. Zero, the producers of the 1960s Batman television series renamed him Mr. Freeze (and portrayed Batman addressing him as "Dr. Schivell"), and the name quickly carried over to the comic books. Silver age - In the Pre-Crisis continuity series, it is explained that Mr. 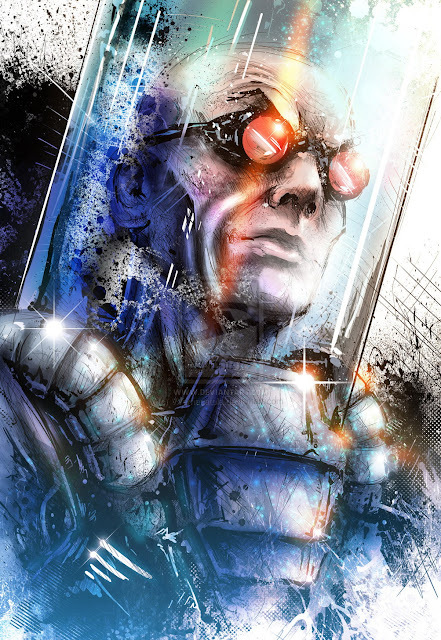 Freeze is a rogue scientist whose design for an "ice gun" backfires when he inadvertently spills cryogenic chemicals on himself, resulting in his needing subzero temperatures to survive. Modern age - Post-Crisis, Freeze was revamped utilizing Paul Dini's backstory. Dr. Victor Fries (surname pronounced "freeze") is an expert molecular biologist. As a child, he is fascinated by freezing animals. His parents, horrified by his "hobby", send him to a strict boarding school, where he is miserable, feeling detached from humanity. In college, he meets a woman named Nora, whom he falls in love with and ultimately marries. A year and a half after Bruce Wayne becomes Batman, Nora has contracted a disease, while Fries works on a freeze ray. Fries' boss decides to tell the mob about the gun, leading Batman to create a team of specialists to help him do his job better. Fries decides to use the device on Nora, to put her in cryo-stasis, but due to tampering from his boss, Nora is frozen and shattered and Fries becomes insane. Targeting those responsible for the death of his wife (whom he talks to often), Fries becomes Mr. Freeze, Batman's first super villain (as opposed to the humans with no weapons he had been fighting). When Batman's operatives find Freeze, one is shot by his cold gun. Eventually, Batman catches Freeze and lets all of his operatives go, realizing he can only trust one person to help him out after his group's bickering amongst themselves and the fallout with Freeze, and decides to go visit the circus as Bruce Wayne. Freeze's crimes tend to involve freezing everyone and everything he runs into so he hardly ever forges alliances with the other criminals in Gotham, preferring to work alone. On rare occasions he has worked with another member of Batman's rogues gallery, usually as an enforcer for Gotham's mob bosses, such as the Penguin or Black Mask. Freeze has at times shown a belief that Nora has reincarnated. 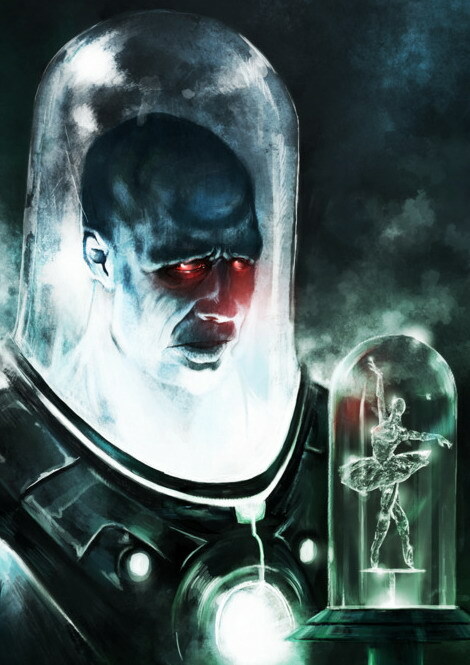 In one of his notable team-ups, Freeze constructed a cryogenic machine for Hush so that Hush might take revenge on an old enemy. During his time with the Society, he fashions for Nyssa al Ghul (Nyssa Raatko) a sub-zero machine in exchange for the use of her own Lazarus Pit. He attempts to restore Nora to life without waiting for the adjusting needed in the pool chemicals. However, she returns to life as the twisted Lazara, and escapes. She blames her husband for her plight, and she estranges herself from him. The New 52 - During the Night of the Owls crossover as part of The New 52, the Court of Owls send assassins known as Talons to kill almost forty of the most important citizens of Gotham with Mr Freeze being one of them. The Red Hood (Jason Todd), Starfire and Red Arrow choose to save him, and subsequently remand him into Batgirl's custody. Batman Annual #1 introduces a new origin for Mr. Freeze. Here, Victor's fascination with cryonics began when he was a boy and his mother fell through the ice of a frozen lake. However, it's later revealed that Victor decided to end his mother's suffering by pushing her into a lake, causing her to presumably drown. The ice was able to keep her preserved long enough for rescue to arrive, thus sparking his lifelong obsession with the cold. In this new origin, Nora was never Fries's wife. Her name was Nora Fields, a woman born in 1943. When Nora was 23, she was diagnosed with an incurable heart disease, so her family placed her in cryogenic stasis hoping that a cure would be found in the future. Victor, having written his doctoral thesis on Nora, took on a position as a cryogenic researcher and technician at Wayne Enterprises, the facility that housed Nora's body. Eventually, Victor fell in love with Nora and became dedicated to finding a reliable method for slowly thawing cryogenic subjects. However, Bruce Wayne ordered the project to be shut down, as he began to feel uncomfortable with Victor's fixation on Nora. Furious, Victor hurled a chair at Bruce, who dodged the attack; the chair smashed into an array of cryonic chemical tanks, the contents of which sprayed onto Victor and caused his transformation into Mr. Freeze. 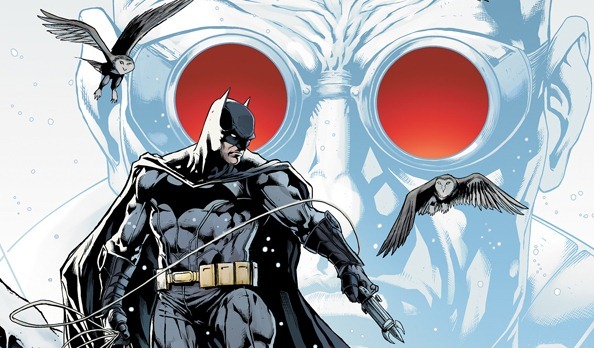 The Court of Owls used Freeze's cryogenic-thaw formula to revive their Talons and then tried to kill him. Freeze barely escapes assassination, but is captured by the Red Hood and sent to Arkham. Escaping shortly thereafter and rearming himself with the Penguin's help, Freeze decides to kill Bruce Wayne and take Nora, whom he deludedly believes to be his wife, so that he can leave Gotham City behind forever. Infiltrating Wayne Enterprises, Freeze has a brief fight with Nightwing and Robin, but he subdues them. Then, Freeze goes to the penthouse, where he finds Batman and the frozen Nora. During their fight, Batman berates Freeze on his obsession and readers learn that Nora is not really Freeze's wife. Batman defeats Mr. Freeze by injecting his suit with the thawing formula, which he had intended to use to revive Nora from suspended animation. Like most Batman villains, Mr. Freeze plans his crimes about a specific theme; in his case, ice and cold. He freezes areas around him using special weapons and equipment, most notably a handheld "Freeze gun". His refrigeration suit grants him superhuman strength and durability, making him a powerful villain in Batman's rogues gallery. In the Underworld Unleashed storyline, the demon Neron grants Mr. 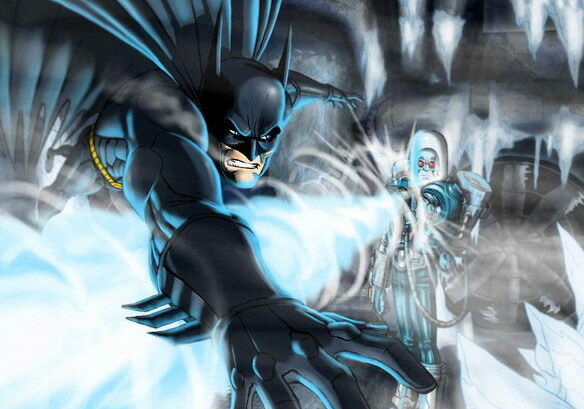 Freeze the ability to generate subzero temperatures, no longer needing his freeze-gun or refrigeration suit. However, after his encounter with Green Lantern, Donna Troy, and Purgatory in Central Park, he reverted to his original subzero biology. He then gained a new subzero armor and weaponry. Mr. Freeze appears in the Robot Chicken DC Comics Special voiced by Nathan Fillion. He crashes the museum where the Blue Star of Egypt was being displayed yet runs into competition with Captain Cold, Icicle, and Chillblaine.